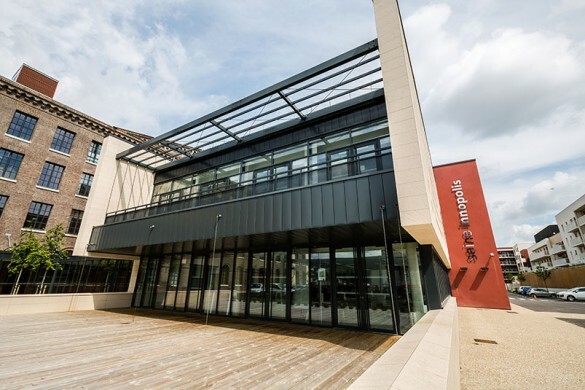 Located in the South of the Rouen metropolitan area, the Seine Innopolis expertise cluster welcomes digital companies on almost 10.000 sq. m, in a former industrial building, listed in the supplementary inventory of historic monuments. Secured accesses (biometrical recognition at the entrances to the work areas, digital code access in the business incubator offices, video surveillance…). 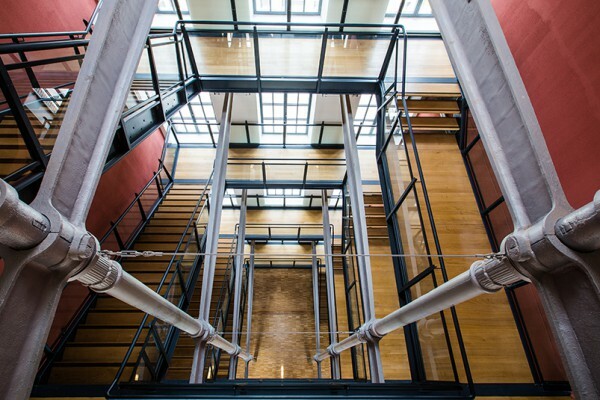 The #NWX Digital Canteen, a co-working and entertainment space dedicated to web and digital services. Are you looking for a shared place or office? This space is perfect for you! 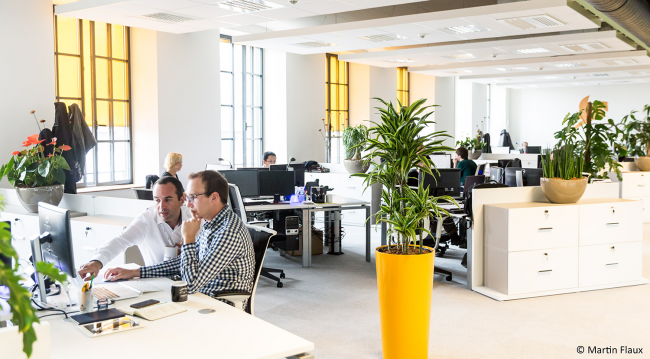 An open-space co-working area open to everyone and dedicated to web and digital services. With an unlimited access to high speed Wi-Fi of course! The Digital Canteen is synonymous with conviviality, openness and simplicity. In addition to its space, the Digital Canteen provides a set of services (logistics, advice and communication), offers a favourable environment to professional exchanges, meetings and partnerships to accelerate cooperation between project backers, encourage innovation and thus encourage the growth of this booming sector. LITIS, IT DATA and Information Processing and Systems Laboratory, is the research unit in the science and information technology field of Normandy. The laboratory develops coherent approaches to better understand and control the nature of the information and its use. ESIGELEC-IRSEEM (graduate engineering school) trains each year more than 300 general engineers. 30% of the year-class graduates are taken up by the “data processing and information technology” activity sector. The IRSEEM (Embedded Electronic Systems Research Institute) has been involved for several years with ICT activities in research as well as technology transfer sectors. CRIANN (Normandy Computer Resource Centre) supports public and private organizations of the region in their research, teaching, and development activities based on new communication and computer technologies. For this purpose, CRIANN gives high standards IT infrastructures to higher education, research and innovation in Normandy. MOV’EO: The « Smart Mobility Solutions » strategic business area develops and includes mobility solutions resulting from cooperation between Information and Communication Technology (ICT) and Transport Technology (TT). These solutions improve road safety and infrastructures, and thus create the 5th generation road and facilitate driving for all. 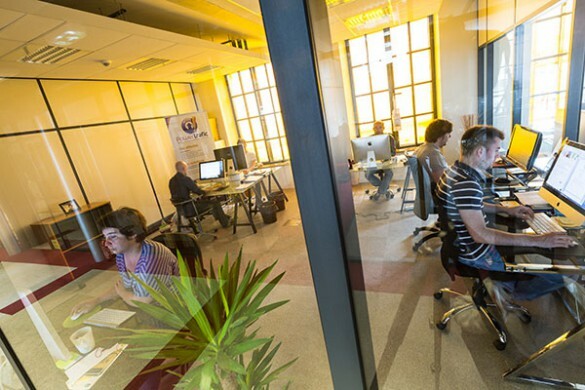 Normandy French Tech: a digital Normandy united to promote its start-ups. more than 10.600 jobs, have raised close to 50 million euros in 5 years. 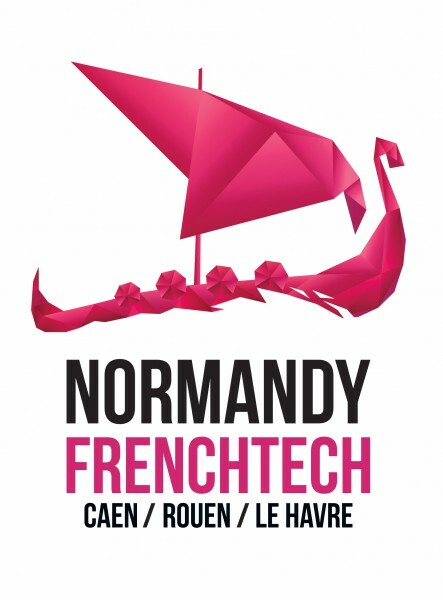 In order to develop this ecosystem favourable towards start-up and give it a national and international visibility, private and public protagonists from Normandy submitted, in March 2015, an application form to the French Tech national Label. Three watchwords: cooperate, transform, enhance on 3 themes: smart city, smart ports and logistics, smart industry! 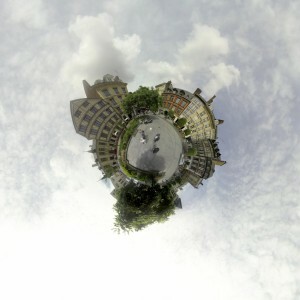 The Normandigital network, which has around fifty members, unites digital professionals from Normandy to create synergies and reinforce the regional ecosystem: promoting providers’ offers from Normandy – Developing cooperation and innovative projects – Working on digital pedagogy – Participating in the foundation of the digital sector from Normandy – Responding to job needs. #NWX, the association of web experts in Normandy, founded in 2011, has today more than a hundred members (marketing, communication, and e-business companies, developers, computer security, gamification, referencing, social marketing, big data, etc.) and forms the web reference to companies, administrations, communities, and higher education establishments of Normandy. #NWX organizes around fifty events every year including the “NWX Summer Festival. The Digital Cluster, resource centre of the CCI Normandie network, is designed for digital uses in companies. It helps company directors, buyers, creators, consultants or employees, in the understanding of new technologies in order to identify new sources of added values, new opportunities and help them to better communicate. 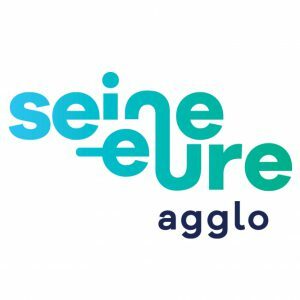 Do you want more information about Seine Innopolis? To set-up and develop your activities within the Seine Innopolis cluster? Please fill the form below or contact Rouen Normandy Invest at the following number: +33 2 32 81 20 30. Become Enjoy Rouen Normandy ambassador !